We aim to offer a quality client service and value for money at all times. The office cleaning services we offer in swindon include all types of office cleaning. From the basic routine tasks such as communual area cleaning, to periodical cleaning, carpet cleaning, windows, desks, workplaces – we cover everything that relates to the cleaning of an office or industrial building. Particular emphasis is put on staff, training and health and safety. With knowledge gained from over 20 years worth of experiance in office cleaning in and around Swindon, Supreme Cleans Office Cleaning services are unique in that we are aware of the importance of establishing good working relationships with our customers. Supreme Cleans Office Cleaning Services aim to consistently provide the best value for money service in this very competitive industry sector. If you are based in the Swindon area and would like a quote for our office cleaning services in Swindon please contact us on 01793 325013. We offer a wide range of cleaning services to offices throughout Swindon and the surrounding area. All our services reflect exactly what our respective clients require. For more information, or if you would like us to provide our office cleaning sevices to you, please get in touch. 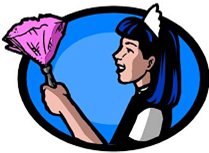 Supreme Cleans Office Cleaners based in Swindon are pioneers in office cleaning services. We are experts in our field for providing customised solutions for cleaning offices and residential properties alike. We only use highly trained staff, who always conduct themselves in a professional manner. At Supreme Cleans Office Cleaning Services Swindon, we pride ourselves on our trained commercial cleaners and management team, who are always available to provide a highly professional cleaning service. For more information, about cleaning and maintaining your residential or commercial property, please feel free to contact Supreme Cleans Cleaning Services Swindon. We were recently awarded cleaning contracts for Oakhurst (North Swindon) developments based on continued quality service. Having specialised in commercial, office and estate management cleaning for a number of years, our expertise in these fields are now being relied upon by a number of well known companies across Swindon. For prospective customers, references can be made available upon request. We have just completed the cleaning of the new B&Q distribution centre in Swindon which is the BIGGEST building ever to be put up in Swindon. The work was completed on schedule, and the client is delighted with our service.